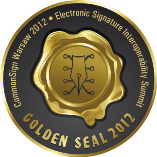 The proCertumSmartSign® software is an application used for creatingand verifying secure electronic signature authenticated by valid qualified and non-qualified certificates. 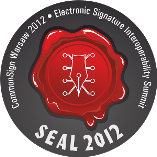 The proCertumSmartSign® application allows the management of electronic documents, e–signing, verification of electronic signatures and public key certificates issued by all certification centres in Poland. The application also involves the SimplySign Desktop module who emulates the connection of a physical crypto card and a card reader on your computer. This solution allows you to use SimplySign in applications that require the use of a physical card. Microsoft Windows: XP, 2003, Vista; Windows 7, 8, 10.
proCertum SmartSignSoftware for making and verifying electronic signature. The application also involves the SimplySign Desktop module. The SimplySign Desktop application emulates the connection of a physical crypto card and a card reader on your computer. This solution allows you to use SimplySign in applications that require the use of a physical card. screen resolution: 1024×768 or higher.